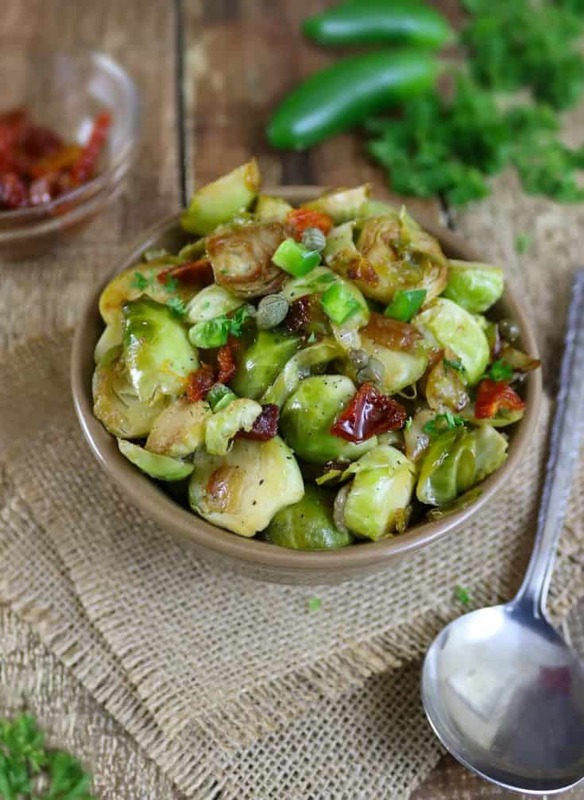 These Capered Brussels Sprouts are pan roasted with capers, sundried tomatoes, onions, garlic and ginger till they are ever so slightly caramelized – making this a delicious side for your Holiday table or even a weeknight treat! I’ve come to the conclusion that I really need to work on my almost non-existent multi-tasking skills. You see, I’ve tried and failed miserably at trying to do one thing while juggling another. For example, my daughter can look me in the eye and have a conversation about breakfast and (without breaking eye contact), text me about her after school activities (without making any errors)! I tried doing the same and… missed out on both conversations! So, my daughter has been giving me pointers to help me…er… evolve. Her first lesson involved watching AND paying attention to an episode of Extreme Vacation Homes (EVH), while I looked up AND wrote down facts about Brussels Sprouts. So, I listened to facts on an EVH that was strategically built into a steep rocky bluff that hid a large rainwater storage area underneath it that was the homes’ only source of water. 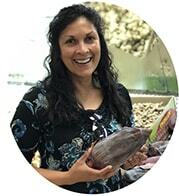 And, in a weird twist of energy consumption/usage, I read about a team of scientists and local schoolchildren who lit a Christmas tree with the energy from 1,000 Brussels sprouts! Talk about fascinating! The house AND the sprouts! I mean, can you imagine that the humble, mini cabbage-look-alike, that’s jam packed with folic acid, fiber, vitamins A and more vitamin C than an orange, can fuel a tree lighting??? I know Brussels Sprouts aren’t everyone’s jam. But am hoping that fact got your curiosity piqued! Thankfully, they are one veggie my daughter hasn’t given me a hard time about eating. 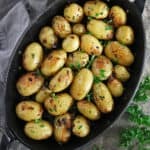 So, I’ve experimented cooking and roasting them many ways. 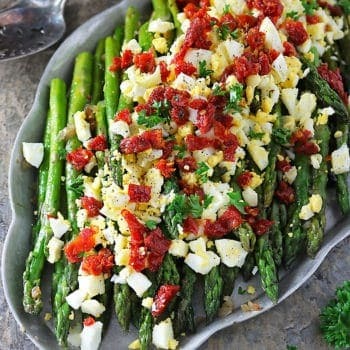 Recently, we have been enjoying them sautéed with onions, garlic, ginger and a smidgeon of sundried tomatoes and capers. This is really an easy recipe. But, it’s so incredibly full of flavor….aaaannnd, I hope it get’s your taste-buds firing. While my daughter and I have been enjoying these Capered Brussels Sprouts with some quinoa and roasted chickpeas during the week, this would also make a fantastic side dish at your Thanksgiving or Christmas table. Then add in the Brussels sprouts - add a few more splashes of olive oil if needed and stir frequently. When Brussels sprouts begin to caramelize (about 8-10 minutes), add in the sundried tomatoes and capers and serve. In the market for new cookware? Then check out the Rachel Ray premier cookware set – and maybe you could be the lucky winner of the set below by entering this giveaway! GREEN always makes me happy :-)) This is a fantastic side dish and perfect for the holiday meals. O these flavors sound wonderful on some sprouts! A flavor explosion! Oh my gosh…roasted Brussels are totally my jam! I love using a cast iron pan for these as the edges get all nice and crispy and caramelized. Yum! Also, Brussels can light a Christmas tree!?! Say what?? I definitely think I need to try this out in my house this year…haha! 🙂 Great recipe, Shashi! Ahhh how I love brussels sprouts!! They are just the best! These sound fantastic! haha Oh man, I can multitask like crazy …. but lately I feel like I”m just missing out on really experiencing things though, you know?? lol Vicious cycle! 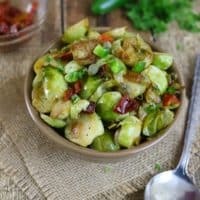 We love Brussels sprouts so I will definitely try this recipe. Yay to brussels sprouts twinning!! Can I just say that fun fact about the tree and energy from sprouts is SO cool!! Who knew?? Anyways, love these, Shashi! 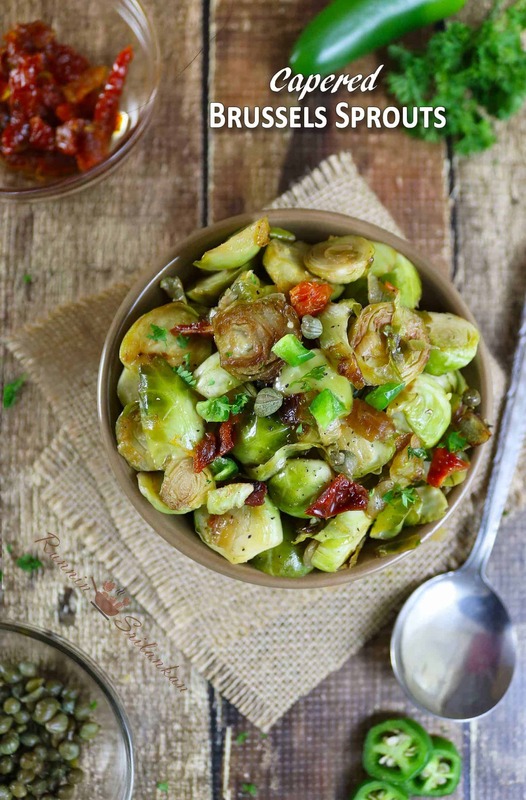 I am kind of obsessed with sprouts and I adore capers and sundried tomatoes, so this dish is seriously calling my name!! I could definitely eat a bowl full of these for dinner!! Nom nom nommm! Cheers, dear! Ps. Good luck with your mulit-tasking! What a delicious recipe. I was not always a fan of brussels sprouts. But I have learned to love them. 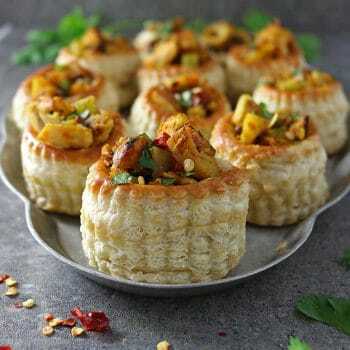 The ingredients you have added turn this dish into something special. I’m a huge fan of brussels sprouts! Kids are indeed teaching us to ‘evolve’ these days and I have to admit that I am enjoying growing up with them. 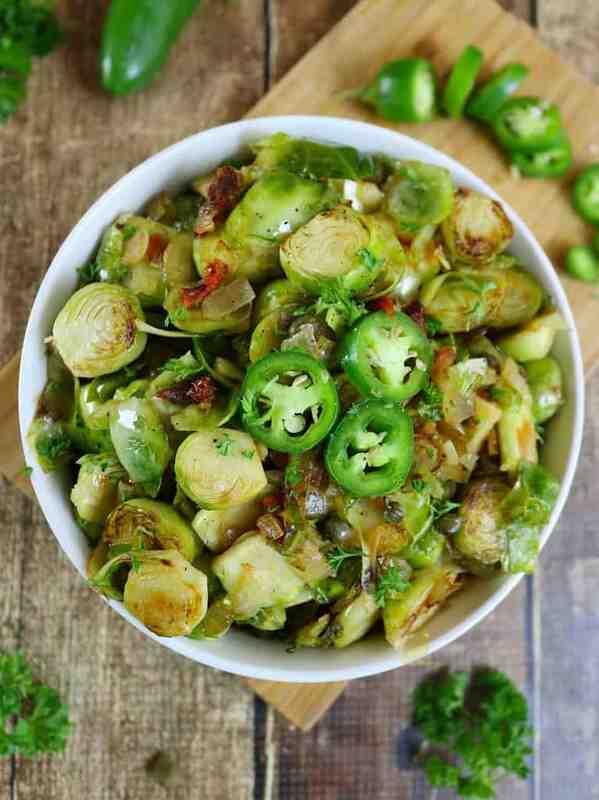 Brussels sprout are one of our favorites and caramelizing them brings out such a sweetness. out of them. These look like the most flavorful brussels sprouts ever! They looks amazing! 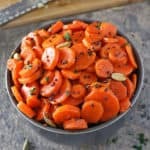 These look like the most perfect fall side dish! I take anything brussels sprouts when I can get them! Dear Shashi, This sounds so familiar 😉 just like me and my daughter…I feel my mind is all over the place sometimes. I just asked my daughter the other night to help me look for my glasses and I had them on. I’m sure I’m not the only one that has happened to. Thank God for our girls always being there for us! What a fun and fascinating fact about brussels sprouts…who would have know!. These are a must at our holiday table. My daughter absolutely loves them and I love how you’ve prepared yours. That bit of heat from the ginger and jalapeno sounds so good. hahaha–glad you’re learning the art of multi-tasking! 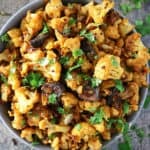 Sounds like it’s turning out well for you 🙂 I first heard about using capers when I was in Italy this summer and the idea of them with brussel sprouts and sundried tomatoes sounds AWESOME. I just bookmarked this–thanks for sharing! Haha I love that, especially since I am a horrible multi-tasker, but try sooo hard! I LOVE these sprouts, too- they contain some of my very favorite things! Funny, multitasking actually is bad for our brain 🙂 I used to be able to do it, but now I can’t multitask anymore! Love brussels sprouts! 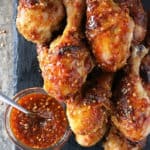 This is such a unique recipe! Pinned!